Only ten days to go until it’s officially summer but it already feels like it in Europe! Temperatures are high, days are sunny and I’m off to apply to become a weather presenter (just kidding). Having blue eyes and significant vision problems, I feel bothered when brightness increases even a tiny bit. So one of the things I need the most as soon as summer starts to show up is sunglasses! However finding brands that produce those with an Eco-friendly/sustainable approach hasn’t really been a piece of cake for me. 9 eco friendly sunglasses that’ll make you look stylish at the beach while protecting your eyes and the environment! 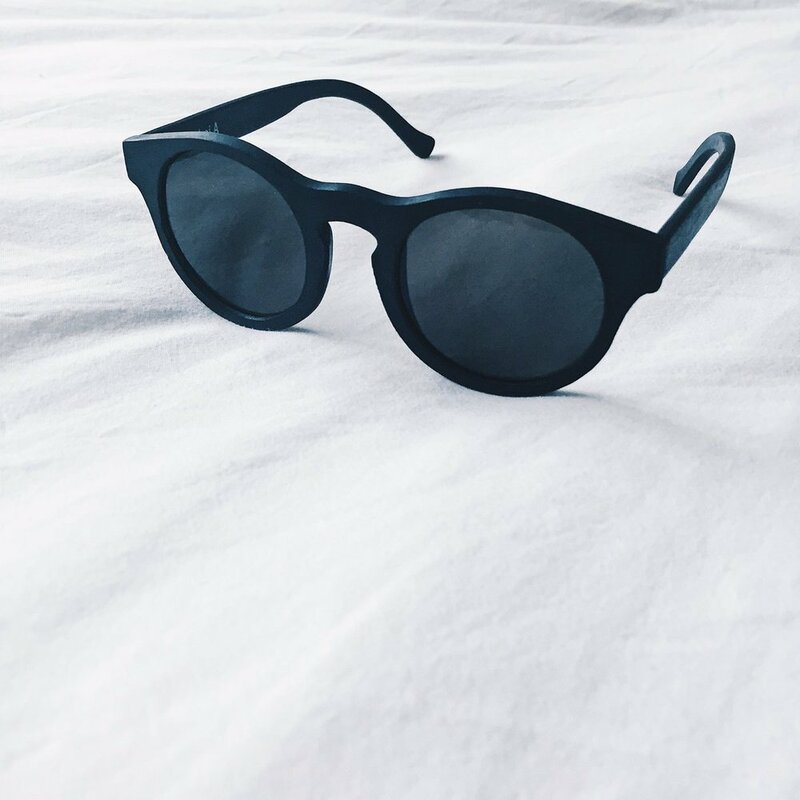 Handmade in Cape Town, South Africa, where it’s known to be pretty sunny, Ballo uses recycled paper and off-cut timber from local furniture producers, enabling as such to reduce waste and provide eco-friendly crafted looking shades that will look great whether you’re at the beach in Croatia or doing a safari in Africa! One of my personal favorite (I can't take off the pair that I bought from them a few months ago), Blue Planet Eyewear is a US-based brand that does good to the planet as well as its human inhabitants. Their products are made either of recycled and reclaimed materials such as plastic and metal or bamboo which is known to have a reduced environmental impact. AND, through the Visualize Change program, for each purchase, their donate a pair of glasses to someone in need. So far, that's 300,000 people that have benefited from the program. “Quality is key, sustainability is king”. Couldn’t help but smile when landing on their website, it’s full of colors, it’s fun and their mission to make sustainable eye wear from plastic is super well explained. The glasses frames are from recycles acetate, cloth are recycled PET bottles (1 cloth = 7 recycles bottles!) and cases are recycles leather. While a vegan, I think it’s incredible that these guys are using recycled animal products and not new ones making the death of an animal a tiny less astonishing and useless. Their prices are a bit high compared to the rest but styles are glamorous as Italian glamour, so totally worth it if you want to feel like Sophia Loren this summer. 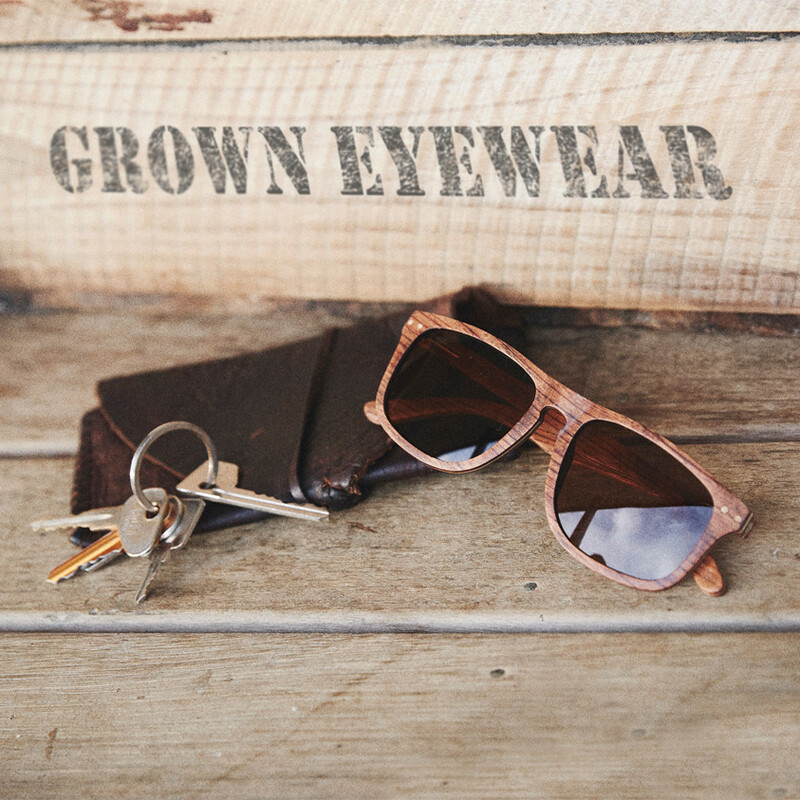 Veteran in the business of sustainable shades (it was created in 2010 way before eco-fashion became a trend), Grown’s mission is to provide “original, organic and sustainable wooden eye wear that looks great and does good”. All up for this! 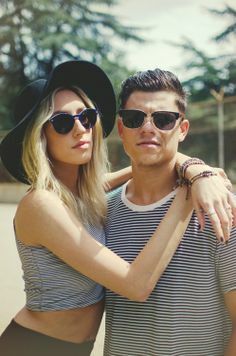 They achieve this mission by handcrafting their glasses from durable bamboo and hardwoods free from harmful and toxic elements and supporting several programs including Grown which for each item purchased will fund sight-restoring surgery for 1 individual and wildlife rescue and care organization in Australia. Launched by three college buddies in 2012, Panda’s shades are constructed from sustainable materials a.k.a bambooand give back to the community. For each purchase, the brand supports Pencils of promises to provide educational opportunities for children in need AND every pair sold provides optic care to someone who needs it around the world. Sounds pretty good to me! Fans of the outdoors,this is the perfect brand for you (and even you’re not)! Started in 2010 by 3 brothers (we love a good family business), Proof Eyewear is definitely an eco-friendly pioneer. They provide handcrafted products from sustainable materials and give back through the Nature Conservancy and Help International. They also donate 12% of annual profits to their Do Good Program. What more to ask? Solo Eyewear’s website immediately puts a smile on your face thanks to the ton of happy pictures of people wearing their shades and benefiting from their give back program on display. Since they started donating 10% of their profits to funding of eye exams, eyeglasses and caract surgeries, the brand has restored the vision for over 13,000 people in 32 countries! And their glasses are from repurposed bamboo or recycled plastic to prevent the additional use of hundreds of kg of natural ressources every year. Psst: their cases come from one of my favorite place on the planet: Panajachel, Guatemala and are made by female artisants! Ethical sourcing at its best! Unlike many other brands in this list that use bamboo and wood to make their sunglasses, Sea2sees gives plastic trash from the ocean a new life and turns it into stylish, affordable shades. They've partnered up with fishing communities around Spain that deposit abandoned nets, ropes and plastics in containers in ports (1ton of it every 3 days!!) then separates and clean the plastic waste which will make up for 100% handmade glasses! Perfect if you’re a zero-waster! Move over ladies and gentlemen! This is no ordinary brand, it’s the world first 3d printed sunglasses from recycled car dashboards, soda bottles & bamboo! And it’s from my home country, Belgium! While they’re planning to launch in the summer, you can sign up on the website and secure an early bird discount or limited edition! And from the look of their instagram page, the styles look gorgeous! Disclosure: I did partner up nor collaborate in any way with any of the above brands to write this post. All thoughts and research are mine.